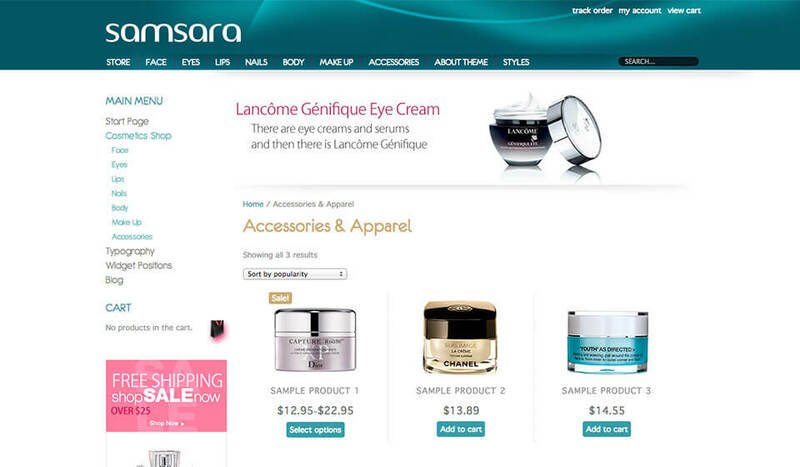 Cosmetic WordPress theme won’t be good enough if it’s not enabled with an e-commerce plugin. Once again, our selection for this purpose was WooCommerce. 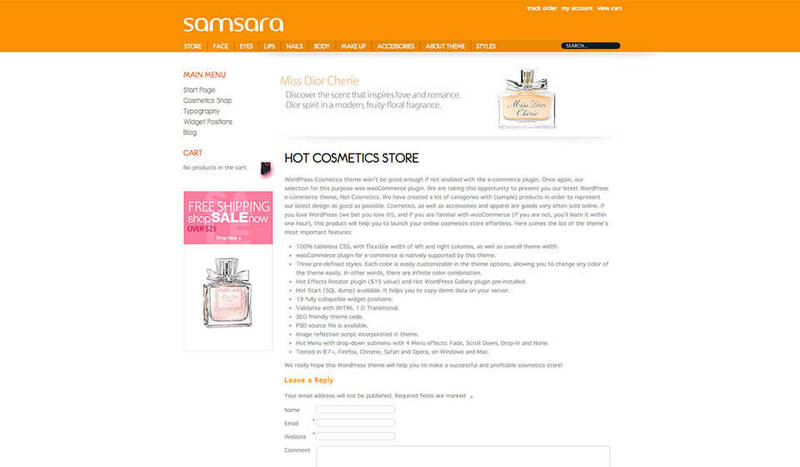 We are taking this opportunity to present you another WordPress e-commerce theme, Hot Cosmetics. We’ve created a lot of categories with (sample) products in order to represent our latest design as good as possible. 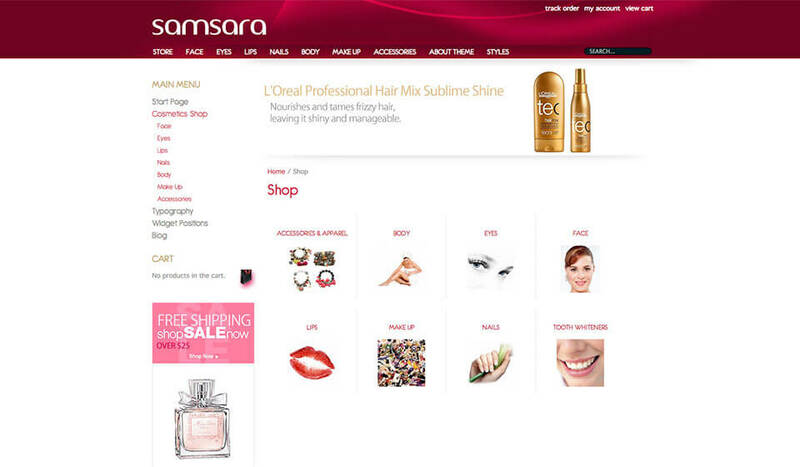 Cosmetics, as well as accessories and apparel, are goods very often sold online. That’s why we decided to make the cosmetic WordPress theme. If you love WordPress (we bet you love it! 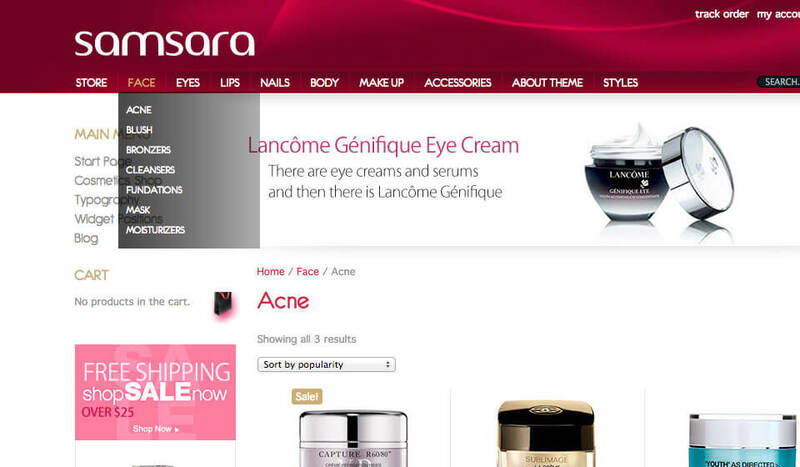 ), and if you are familiar with WooCommerce plugin (if you are not, you’ll learn it easily), this theme will help you to launch your online cosmetics store without too many efforts. 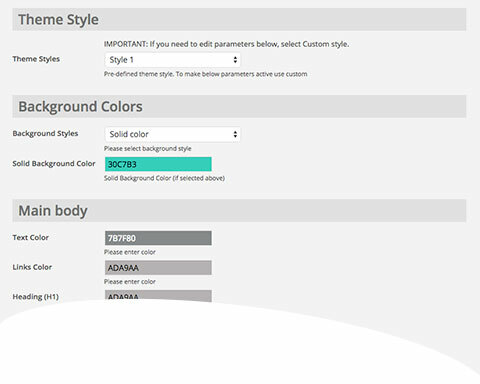 In addition to the cosmetic WordPress theme, you will get the Hot Effects Rotator plugin. This plugin is used on the home page and it welcomes visitors showing them your latest and the most popular products (or any other content). The Hot WordPress Gallery plugin (also included) can be used for making the mini galleries on your pages and posts. It’s a good idea for representing your products in a better way. We really hope this theme will help you to make a successful and profitable cosmetics, accessories and apparel store! And, to have a lot of fun as well!